Every iPhone needs a case, but which one to choose. 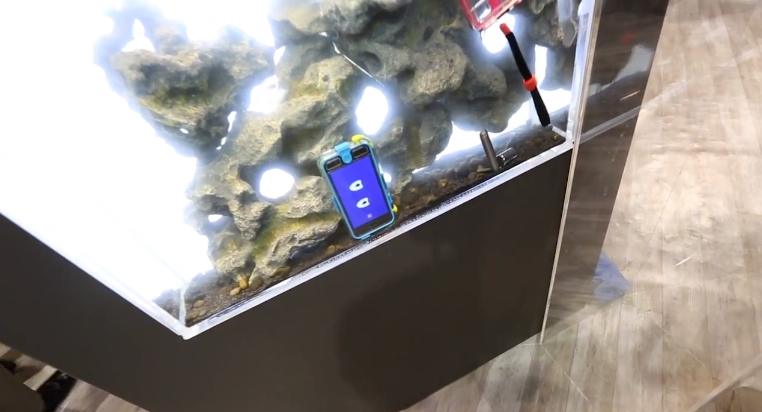 At the Griffin booth at CES 2013, they showed off their Survivor Plus Catalyst Waterproof case, making your iPhone waterproof for up to 10 feet for 30 minutes and drop-proof from up to 5.5 feet. Unlike some other cases, the Griffin Survivor Plus Catalyst Waterproof case offers durability while keeping the functionality of the iPhone. The case uses a series of silicone gaskets and membranes to keep water out of your device. The case is $79.99 and will be available in many stores around the world where they sell iPhone and cases in the next couple of months. They offer four different colors: black, pink, teal and yellow, and a dark blue and yellow.